In the business world, last thing that any entrepreneur wants is tax debt as this situation can get from worse to bad in no time. The central tax bureau has authority to recover the money directly from your bank accounts. Moreover, they even can seize your property without giving you a chance of explanation. It can be difficult for you to clear the tax debt if you are undergoing a financial crisis but you can find a middle way by taking couple of simple but effective steps. 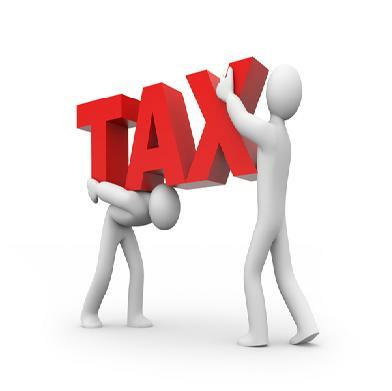 First of all do not panic after receiving the notice from the tax bureau. You should look into the debt first. Check the amount you owe and then your resources. Ask your accountants to check all the figures carefully as sometimes it can be just a billing error. Do not ignore the notice and respond quickly as time is money in such matters. If you won’t take steps well in time then you might have to pay for this negligence. Remember that if government directs you to clear your debts, you cannot escape or dodge as it will double the trouble. The tax bureau will charge you extra for late payment or they even can seize your business by declaring you a defaulter. You better plan a payment system as it is far better approach than running away or hiding. Try to split your debt in instalments. Request the relevant authority to facilitate you by giving complete information of your financial condition. In this way, you will not have to pay the full amount at once and this instalment plan will be a great relief. You will have to draft a petition for that purpose and then design an instalment agreement which will give complete picture. You may need a guarantor to certify your truthfulness. You may request them for concession as in many cases when the company does not have enough financial resources to clear the tax debt then government grants them a concession. Though, it is very supportive method to come out of the deficit but you will have to prove that your financial condition does not allow you to pay off the total tax. You can take help from those companies who provide assistance to negotiate. If you have managed to save some money then what else can be its purpose rather than using it in difficult times. Gather your savings and pay off the tax debt as there will be many more opportunities to gain if you lose some this time.